We are pleased to announce that all 2019 WEXCR events qualify for AOMC’s BraapCoin Rewards. Every racer properly signed up at any of our 11 regular events will receive $10 in BraapCoin Rewards per event that is attended. All you have to do is provide us with your email address during the event registration process. After each attended event you will receive an email with a coupon code good for $10 off any order placed on the AOMC website. If you have multiple racers in your family you will have to provide us with separate email addresses for each racer. One reward for each email only, please. Why Shop with the AOMC? 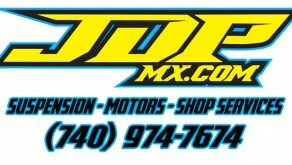 Local The Appalachian Offroad Motorcycle Company IS Appalachia! We’ve been supporting local WEXCR racers from the beginning. When you shop at AOMC you can be sure that you are supporting a local moto business. Experienced This isn’t our first moto. 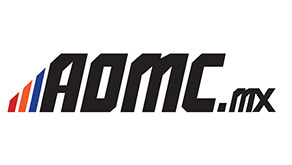 The AOMC has been a top KTM parts & accessories dealer since 2001 and now stands at the top with great off-road brands such as Husqvarna, Beta and GasGas. Our dedicated staff of off-road racers know the industry and can get you protected and on the track with confidence. P3 Carbon & AMP We urge you to check out and support our in-house brands, P3 Carbon and Appalachian Moto Products (AMP). Bikes use your contingency awards toward the purchase of a new or used unit from AOMC’s huge Showroom inventory. ATV & UTV We have that too! AOMC is a Parts Unlimited, Tucker Rocky and Western Power Sports dealer with access to thousands of accessories for all ATV and UTV models.